Denner has played a key role in boosting Bosch's expertise in vehicle interconnectivity. 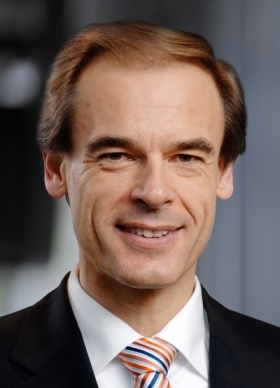 MUNICH -- Robert Bosch has picked its automotive electronics expert as its next CEO. Volkmar Denner will succeed Franz Fehrenbach, who will become supervisory board chairman at the world's largest auto parts supplier. The changes take effect July 1. 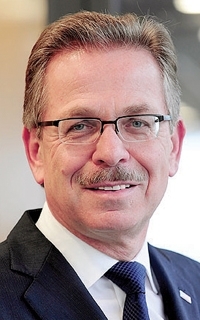 Denner, 55, has been head of Bosch's automotive electronics division since 2003 and part of the board of management since 2006. Fehrenbach, 62, who has been Bosch CEO since 2003, will replace Hermann Scholl as head of the supervisory board. Scholl, 76, will retire after spending 50 years with Bosch. Denner's rise to CEO contradicts a report last week in German weekly manager magazin that said the 55-year-old head of Bosch's automotive unit, Bernd Bohr, would succeed Fehrenbach. Denner, who joined Bosch in 1986 has a doctorate in physics, has been responsible for research and advance engineering, product planning, technology coordination and for the "user experience" across Bosch's three business sectors since July 2010, the company said in a statement. In these roles he has focused on finding opportunities for Bosch to benefit from huge technological change via solutions that are increasingly Web-enabled. One example of this is vehicle interconnectivity, the company said. Franz Fehrenbach joined Bosch in 1975 as a trainee. Fehrenbach joined Bosch in 1975 as a trainee before taking a number of top management positions in manufacturing. He was named to the board of management in 1999. Four years later he became Bosch CEO. Scholl, who will resign from his post on June 30, was made a junior member of the Bosch board of management in 1973 and a full member in 1975. He was CEO from 1993 until 2003, when he was tapped to lead the supervisory board. Bosch shareholders have decided that Scholl will hold title honorary chairman of the Bosch Group.